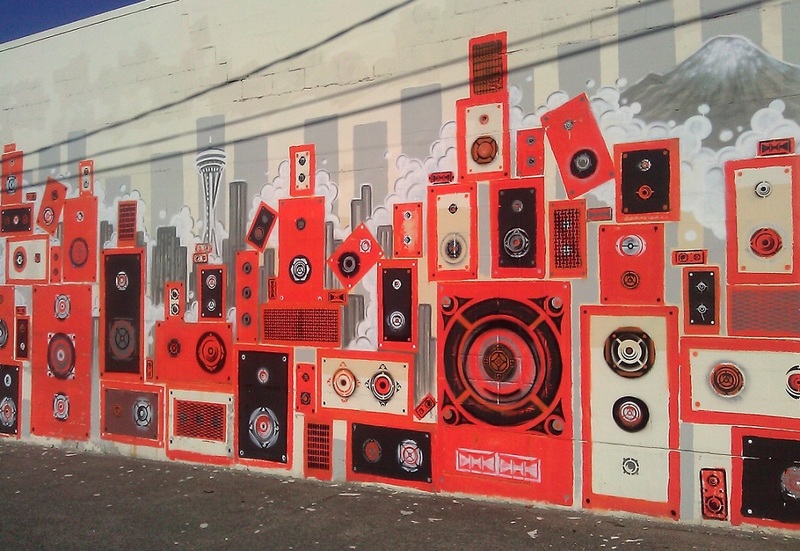 Anyone walking by the Dexter-Denny intersection lately probably won’t notice the large orange and black mural that’s gone up within the last couple of weeks on the sides of 90.3 FM KEXP. In fact, many of the studio’s neighbors don’t know there is a radio station there at all – the gray concrete one-story block, affectionately called the Berlin Wall, looks far too small to house the approximately 80 employees and 200 volunteers they have on rotation to keep the non-profit studio running smoothly. “In the Midwest, you still get beat up for the music you listen to or how your hair is cut,” Jonathan says. His favorite band is Blur, so he was very excited when he heard their music on the radio because it doesn’t get played on commercial stations. “I called in to Cheryl [Waters] to request one of the new Blur songs, and the station didn’t have it yet because it was only released overseas,” he recalls. “I bought a used copy for $18 on Amazon, ripped it to my computer, and came by and donated the CD to KEXP so they could have a copy in their archives.” Listener-powered radio, indeed. Jonathan, whose artist name is Wakuda, is half Japanese. 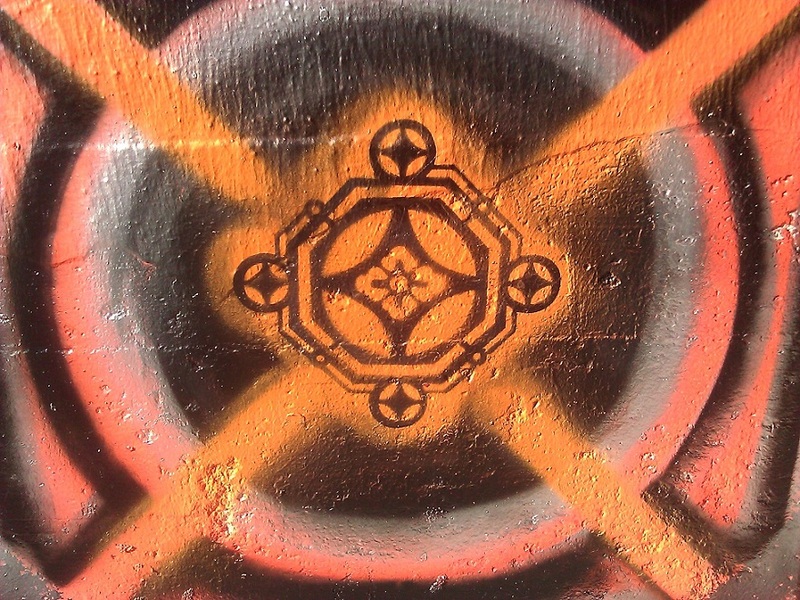 “Wakuda is my family name that’s been around for hundreds of years.” The KEXP mural is styled on traditional Japanese woodblock-inspired stencils using modern techniques like street art and stenciling. “The interplay between Japan and America has given me the opportunity to better understand both cultures, as well as honor my past and create something for the future,” Jonathan tells me. 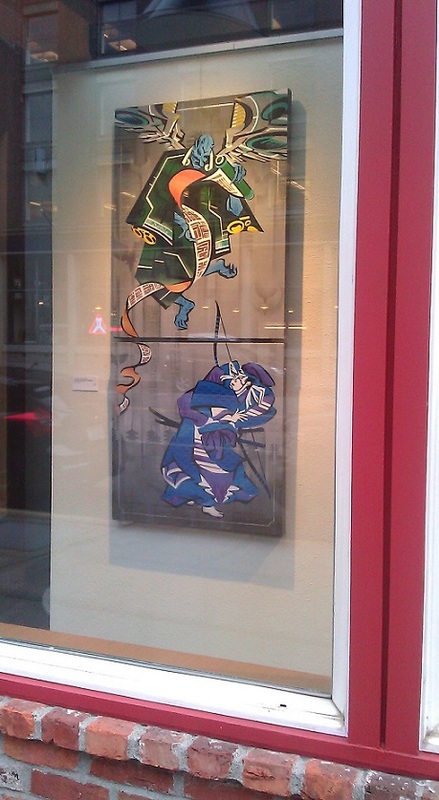 Jonathan recently signed an agreement with the Art Xchange studio in Pioneer Square, and has also done summer workshops for students at the Wing Luke Museum. 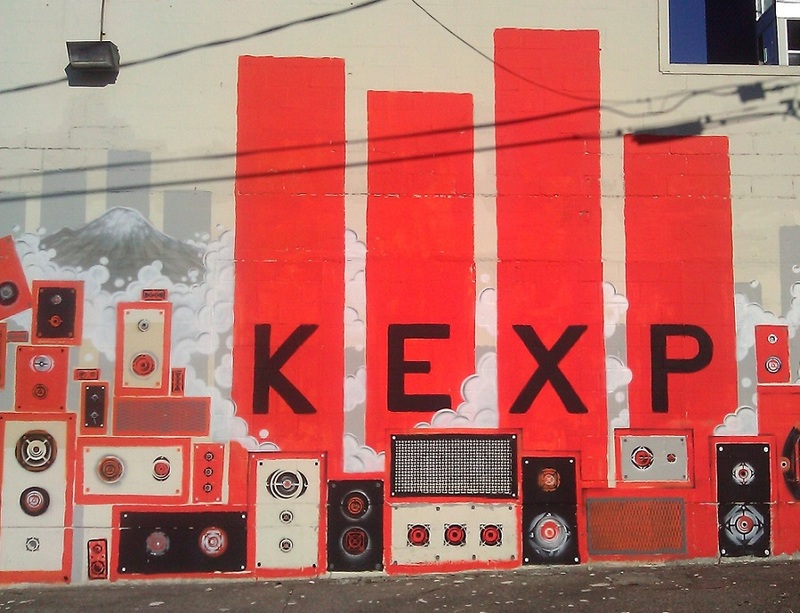 He approached KEXP about doing a pro bono mural on the side of their studio building, and he hopes to create new art for the station’s new home on the Seattle Center campus, due to begin construction sometime in the next year or two. 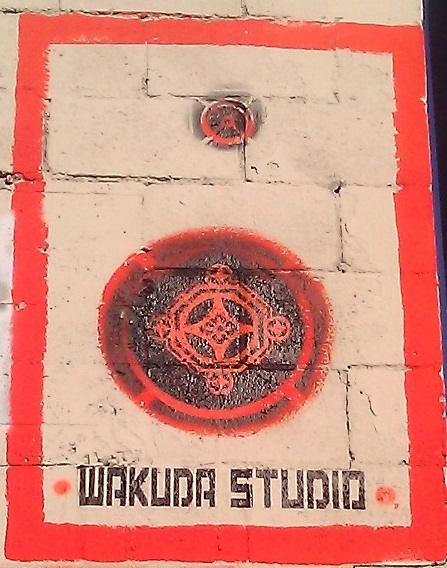 For more information on Wakuda’s artwork, visit his website at Wakudastudio.com. For more official information (but less detailed) about this particular mural, check out the Seattle Times piece on it, or the article in the September issue of the KEXP newsletter Music Matters. 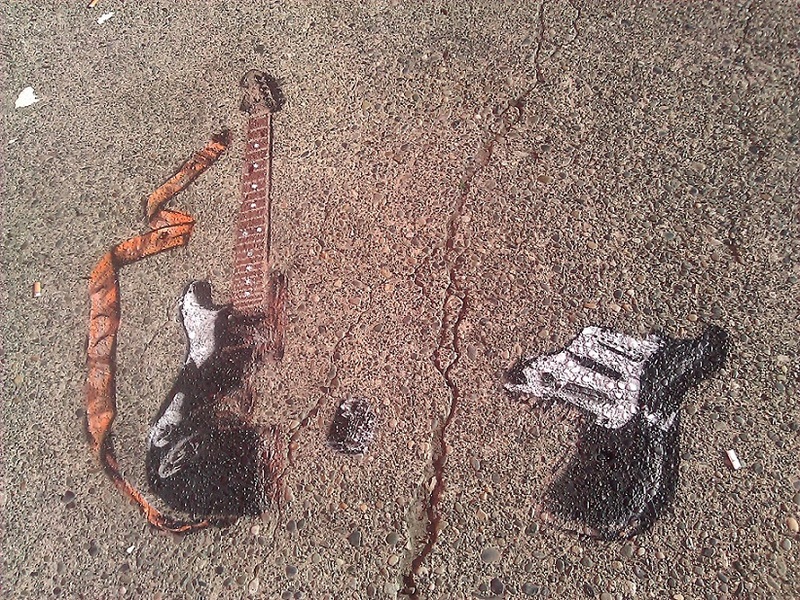 This entry was posted in Interview, Music and Art, Photo Gallery, The Seattle Scene and tagged Art Xchange, Cheryl Waters, DJ Riz, KEXP 90.3 FM, listener powered radio, Seattle Center, Wakuza Studio. Bookmark the permalink.